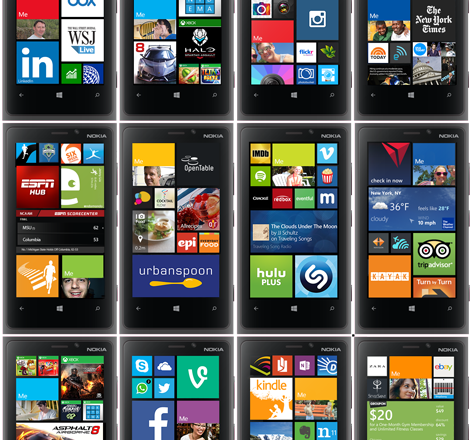 With Windows Phone (WP) 8.1, many of the built-in apps are now updatable from within the Windows Phone Store. Unlike on previous WP versions, the built-in apps do not need to wait for the next OS update to be updated. These apps now can and do update regularly just like other apps you install from the Store. I have already seen many of them being updated recently, and WPCentral documented today that the Games app has been updated. To compliment this, these apps now have their dedicated Windows Phone Store landing page just like any other apps you find in the store. I have another post on how to find the landing page of a built in app. Click here for that post. This is very similar to how Windows 8 and 8.1 works. Most of the modern applications that come preinstalled with the OS are updatable through the Windows Store and has its own landing page. A big difference form Windows and Windows Phone in this regard is that while you can uninstall all such apps in Windows, you cannot uninstall all such apps in Windows Phone. Some apps, such as Music, Video, Calendar, and Games are too crucial for your phone’s operation to be uninstalled. Other apps, such as Bing News, can be uninstalled even though it is preinstalled. This is not the case with Windows 8.1. All updatable apps can be uninstalled. This means, for instance, you can uninstall the music, games, and video apps in Windows 8.1 and Windows RT 8.1. Strange, I know. Previous Previous post: Windows XP Dead as Advertised–Now what? Reblogged this on Blog de Henrique Cesar Ferreira Gama.